GREENVILLE — Darke County Center for the Arts will host “Barbecue and Blues,” a family-friendly fundraiser at Turtle Creek Golf Course on Friday, July 17. 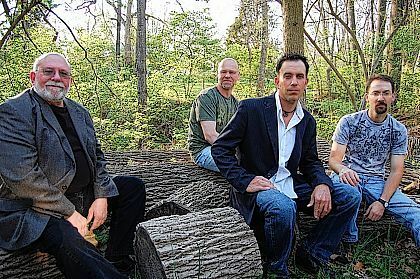 The Doug Hart Band, a group that has been a major force in the southwest Ohio blues scene for over 15 years, will be the headlining music act. The event opens at 6:30 p.m., with local favorites The Green DeVilles providing the feel good danceable music for which they are well-known. Tickets for the event are $10. The Thirsty Turtle will have food and a full range of drinks available for purchase throughout the evening. DCCA Executive Director Andrea Jordan says that “Barbecue and Blues” has become an extremely popular summertime event. “This is a great opportunity to celebrate the season with lively, listenable music in a lovely setting. We invite the community to bring their lawn chairs and blankets and head on out to Turtle Creek for a good time that can be enjoyed by the whole family,” Jordan said. In addition to barbecue pulled pork sandwiches, the special menu available at The Thirsty Turtle includes fried chicken, hamburgers and hot dogs, plus delicious sides. Desserts and a specialty summer bar drink will also be available. Matt and Angie Arnold, Tom and Jennifer Bish, George and Becky Luce, and Dr. Robert and Jean McLear are sponsors of the musical performances by the Green DeVilles and the Doug Hart Band; the performance stage is provided by Erwin Brothers Trucking. According to DCCA Artistic Director Keith Rawlins, band-leader Doug Hart is a relentless live performer. “You can feel the passion in his guitar playing, and hear the soul in his voice as he blends his blues and rock influences into a unique sound,” Rawlins said. The Doug Hart Band, which also includes bassist Mike Hausfeld, drummer Keith Cozart and keyboardist Mike Jordan, incorporates many blues standards into their show along with Doug’s original compositions. In case of inclement weather, “Barbecue and Blues” will move inside. Although tickets will be available at the gate, DCCA strongly recommends purchasing them in advance. Tickets can be reserved by contacting DCCA at 937-547-0908 or dcca@centerforarts.net or ordered online at www.centerforarts.net. Tickets are also available at Greenville Public Library, Readmore’s Hallmark, and Darke County Welcome Center, as well as at Turtle Creek Golf Course, 6545 U.S. Route 36 East, Greenville.